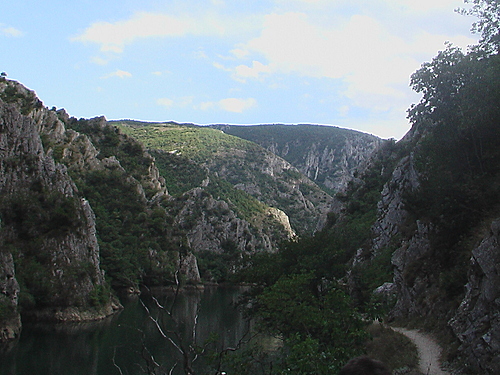 Group visits. 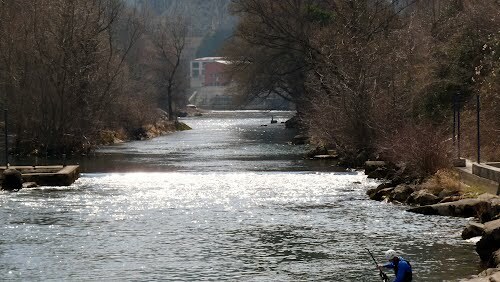 Possible only by providing authorization by Spelelogical club Peoni. 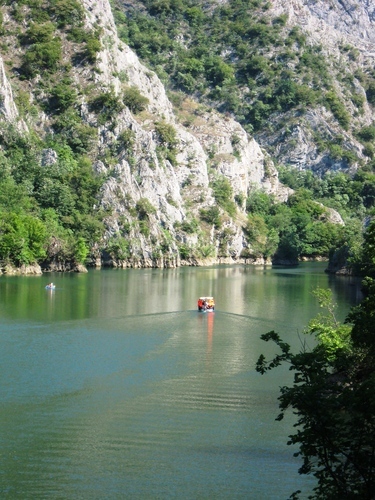 Area can be accessed by boat. 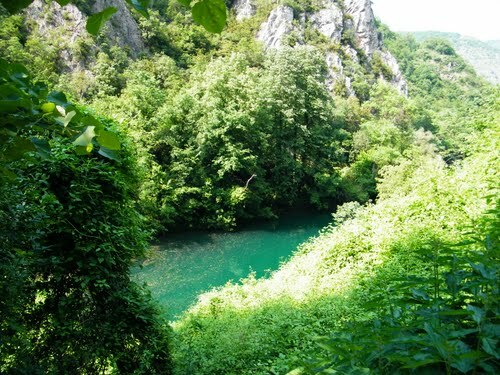 A diving equipment is required. 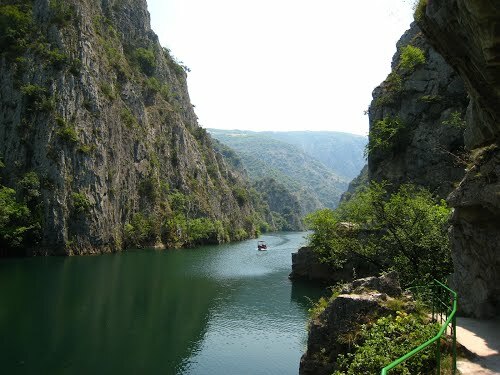 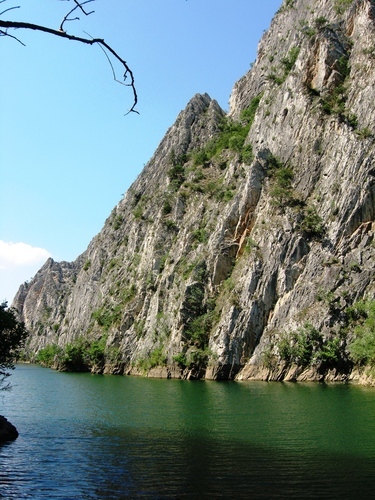 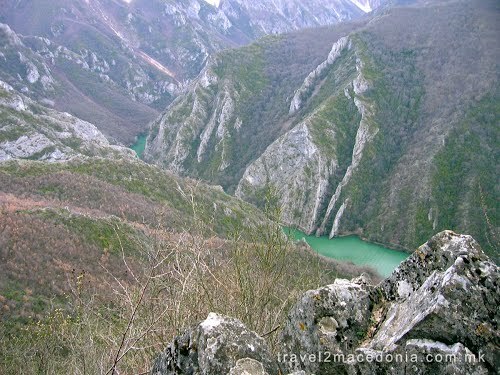 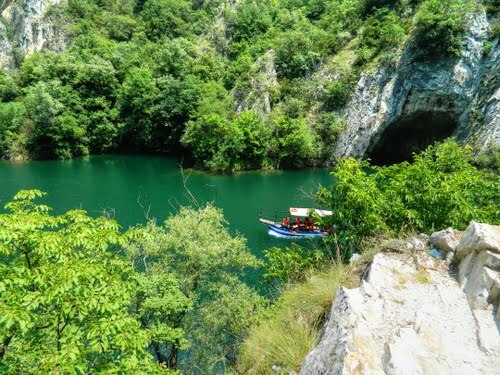 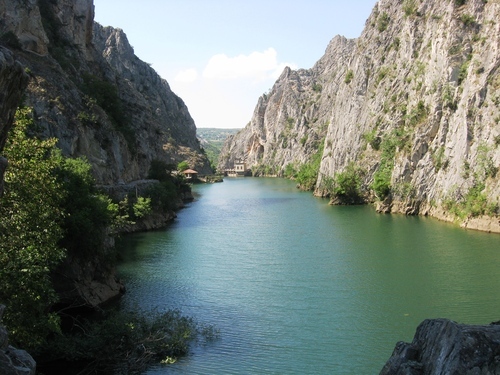 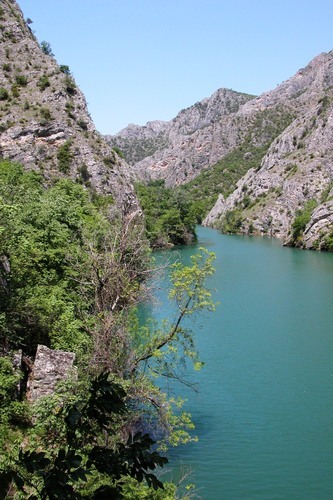 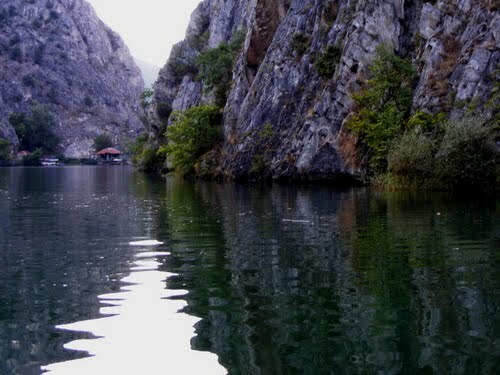 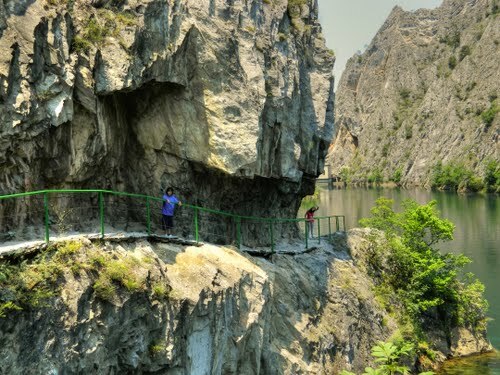 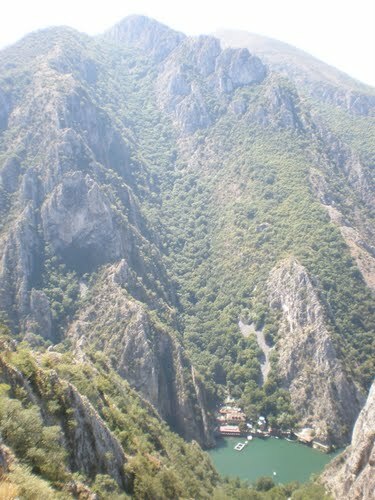 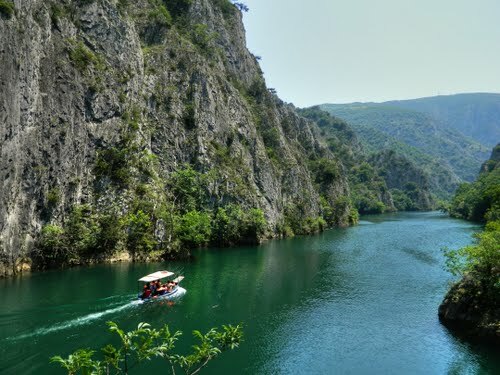 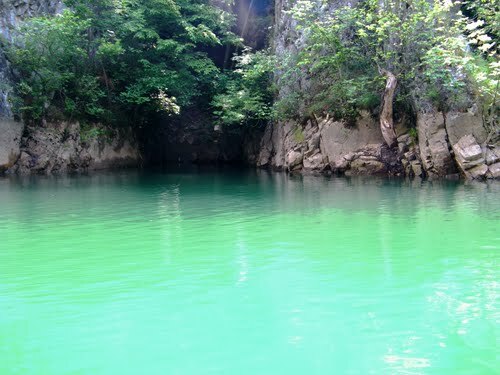 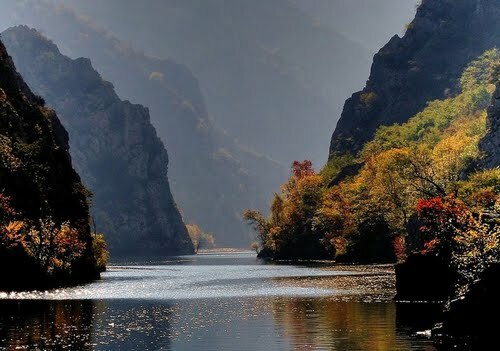 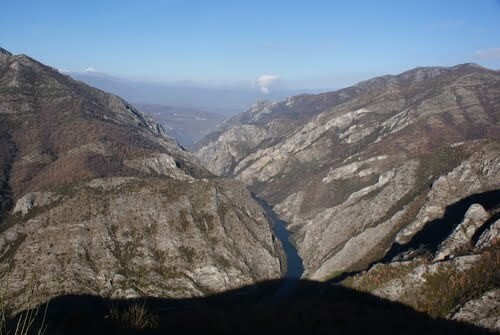 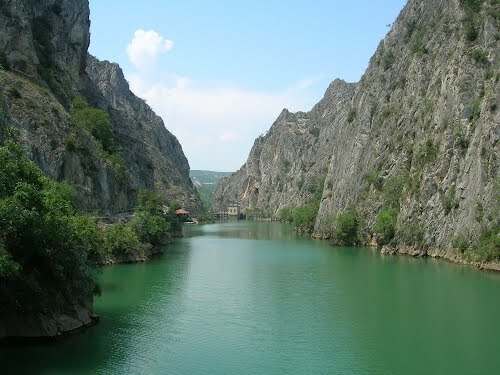 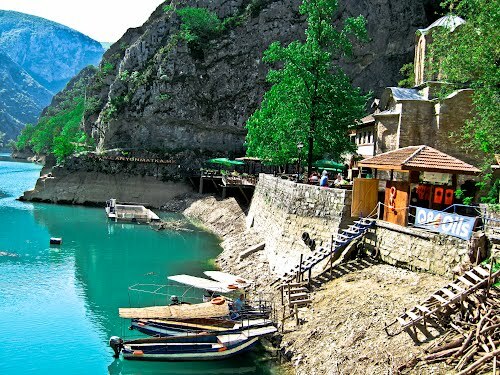 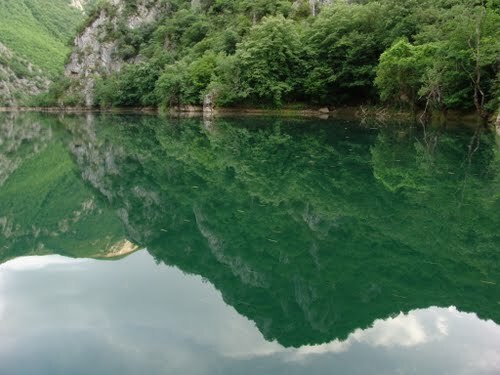 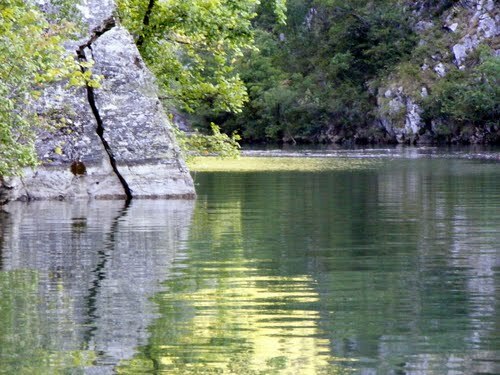 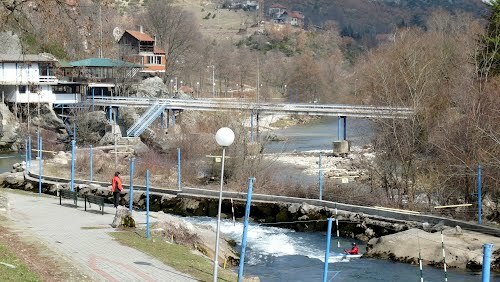 Vrelo's entrance is hidden along the Matka canyon (which is comprised of the Matka lake and Treska river), is about 1.5km from the Matka Dam, on the Treska River, and forms a canyon lake covering about 5,000 hectares. 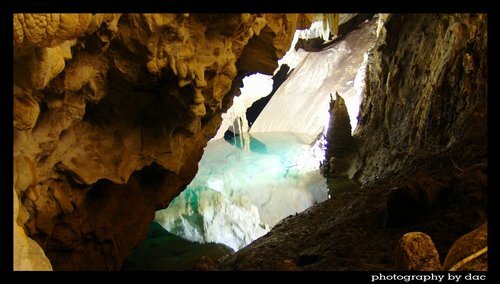 There is also a ground section above the cave's entrance, called Suva, which has stalactites and stalagmites. 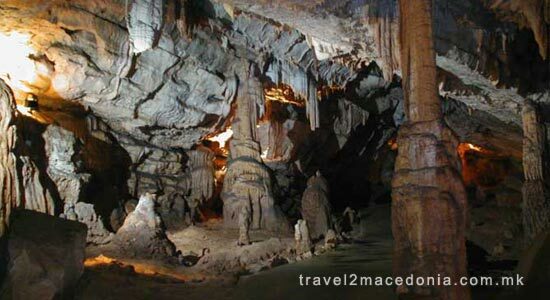 Vrelo Cave has many stalactites including a large one in the middle of the cave is known as the Pine Cone due to its shape. 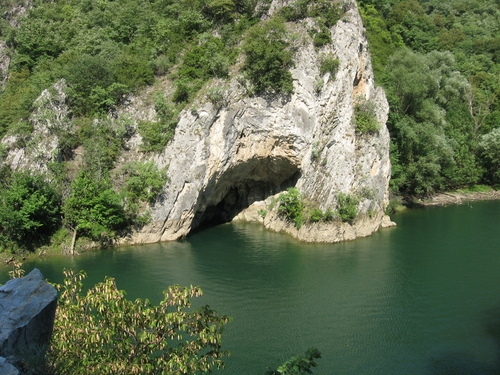 There are two lakes at the end of the cave, with one larger than the other. 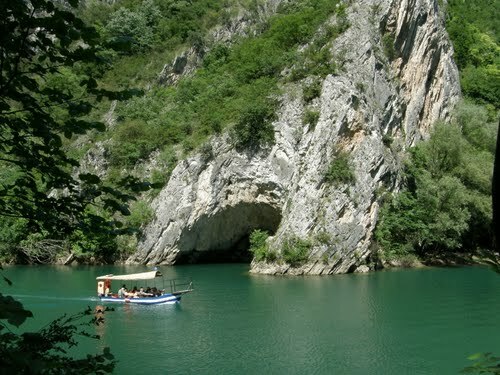 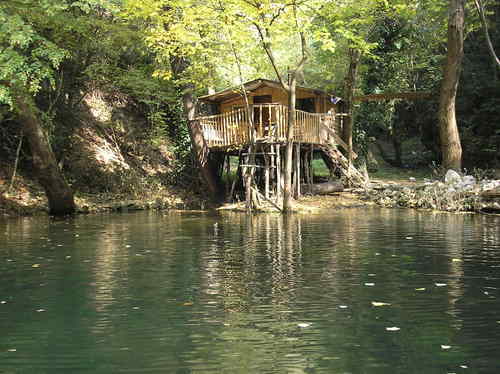 The smaller lake is 8 metres (26.2 feet) at its longest length and 15 metres (49.2 feet) in depth at its deepest point. 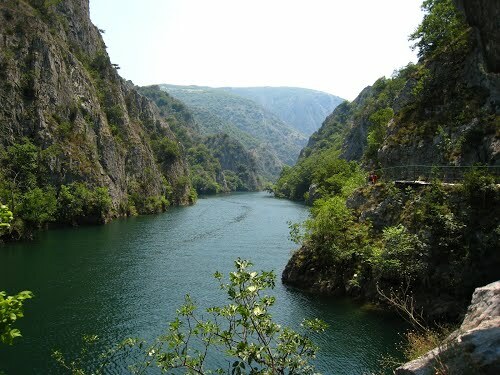 The larger lake is 35 metres (114.8 feet) at its longest length, and 18 metres (59 feet) at its deepest point. 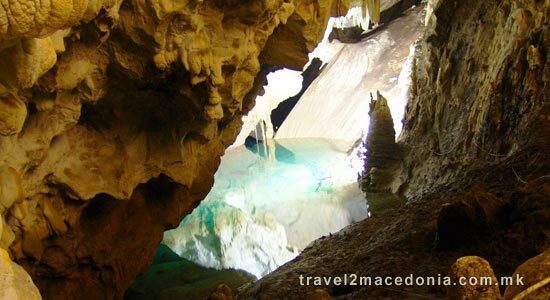 The Vrelo cave has been nominated for this year's Seven World Wonders competition and has made it to the semi-finals. 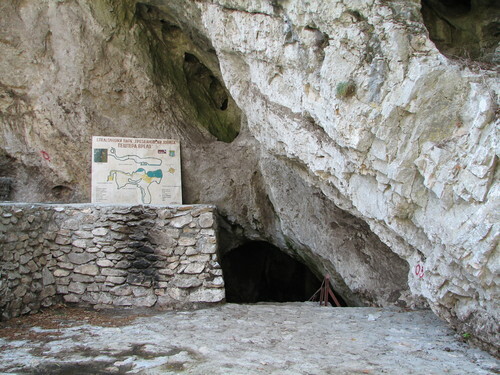 In 2007, the cave ranked 77th, after being explored by diver Mark Vandermeulen, on a list of the deepest underwater caves. 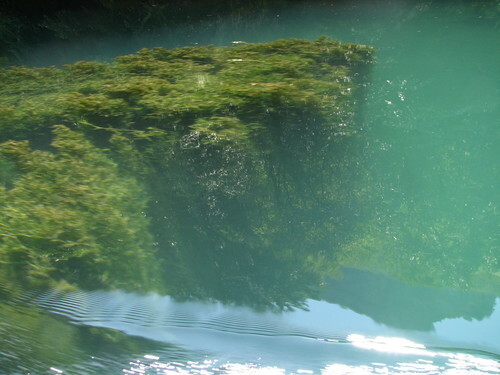 Vandermeulen was also part of this year's diving team. 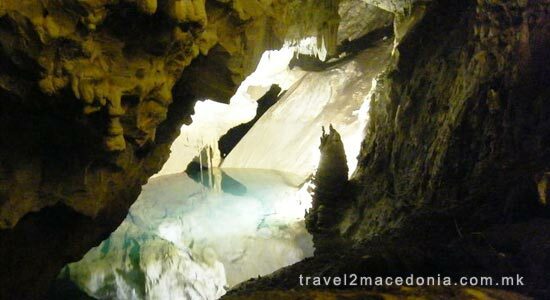 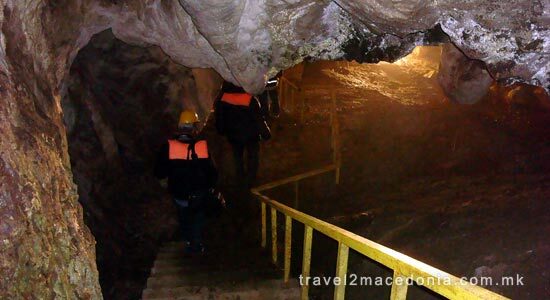 Vrelo ranks 14th on the list of the deepest caves explored by humans, and some speculate it might be underestimated.